Witney is a West Oxfordshire Market Town in the south east of the Cotswolds 12 miles from Oxford, 7 miles from Blenheim Palace and 28 miles (45 minutes) away from Broadway in the Northern Cotswolds. The town has many popular inns, hotels, bed and breakfasts and other types of lodgings not to mention the selection of tea and retail shops. Witney is ideally located as a base for touring the Oxfordshire Cotswolds including Burford, Minster Lovell, Swinbrooke, Brize Norton, Great Tew, Woodstock and Blenheim Palace, and of course the City of Dreaming Spires of Oxford. Also useful for the southern Gloucestershire towns and villages including Bibury and Chipping Norton and the very local attraction of Cogges Manor Farm Museum. 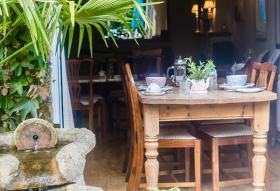 Tucked away in the beautiful and tranquil village of Black Bourton, lies The Vines Restaurant. Not just a place for excellent food and wine, but The Vines also offers excellent overnight accommodation in superbly equipped, spacious and comfortable en-suite bedrooms. The Vines Hotel, renowned for fine dining in elegant surroundings, offers eighteen bedrooms, each with an en-suite shower room. Each room has been thoughtfully designed and offers comfortable and spacious accommodation. All have en suit shower rooms/ wet rooms. 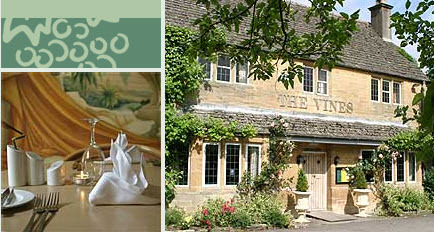 ‘The Vines’ is ideally placed for those on business in Oxford, Swindon, Witney or Brize Norton but is also a perfect base for exploring the beautiful Cotswolds or for enjoying a relaxing evening meal without the need to drive home afterwards! Each room is well furnished and includes a colour television tea and coffee making facilities, desks etc. Showcasing a terrace and fitness center. 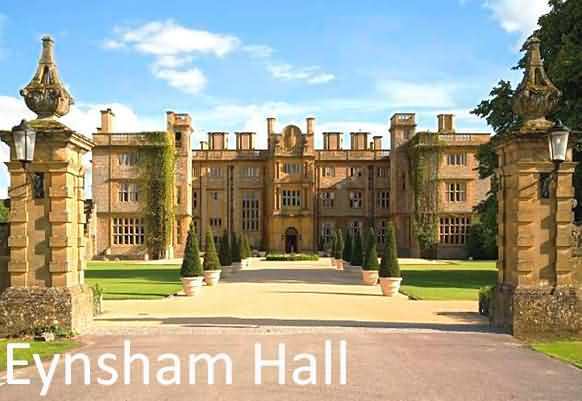 Eynsham Hall is located in 3.5 miles from Witney, and just 8 miles from Oxford. Guests can enjoy the on-site restaurant. Free WiFi is available and free private parking is available on site. Each room is fitted with a TV. Some units have a sitting area to relax in after a busy day. Each room is equipped with a private bathroom. For your comfort, you will find free toiletries and a hairdryer. Stratford-upon-Avon is 29 miles from Eynsham Hall, and Cheltenham is 28 miles from the property. The nearest airport is London Luton Airport, 45 miles from the property. 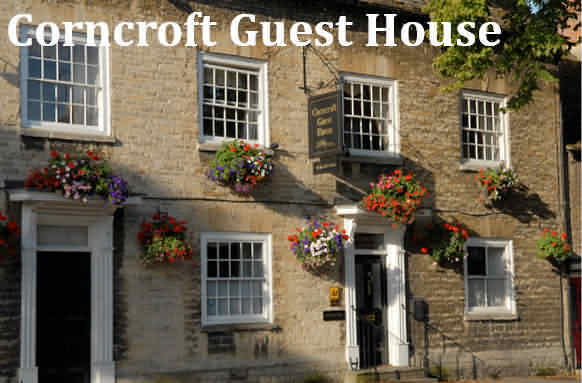 A 4-minute walk from Witney’s Market Square, Corncroft Guest House provides elegant en suite rooms within 14 miles of Oxford city centre. It provides free WiFi and has free public parking nearby. 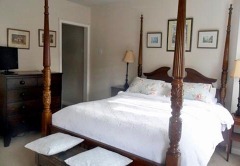 Each room is furnished in Queen Anne or Jacobean style, and features a four-poster or sleigh bed. All have a flat-screen TV, tea and coffee facilities and an en suite bath or shower. Full English or continental breakfast is served at Corncroft Guest House each morning. Witney offers a wide range of restaurants and pubs, with several on Corn Street itself. Cotswolds towns including Stow-on-the-Wold, Bourton-on-the-Water and Chipping Norton are a 25-30 minute drive from Witney. Blenheim Palace in picturesque Woodstock is just over 9 miles away. Don't forget the beautiful village of nearby Minster Lovell and the ruined Hall. This property also has one of the best-rated locations in Witney! Guests are happier about it compared to other properties in the area. This property is also rated for the best value in Witney! Guests are getting more for their money when compared to other properties in this city. 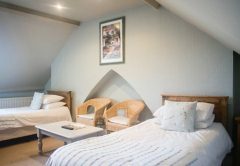 Our family run bed & breakfast, with free parking, is conveniently located for both business visitors to Witney, Oxford and Brize Norton and for holiday makers wishing to explore the Cotswolds and rural Oxfordshire. 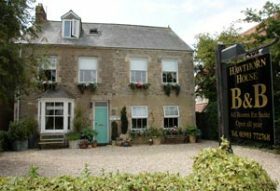 Hawthorn House B&B has five guest bedrooms, en suite facilities, TV, free WiFi internet connection, hairdryers and tea/coffee trays. An iron is available on request. We can accommodate cyclists as we have a lock up shed in the garden for your bikes. As featured in Channel 4’s ‘Four In A Bed’. Freshly prepared full English breakfast is served in the dining room using local/organic/Fair Trade products where possible including cereals, fruit juice and a large selection of teas and coffee. Special dietary requirements can be catered for. A nearby pub offers good home-cooked evening meals. We are within easy walking distance of Witney town centre where there are a large selection of pubs and restaurants. 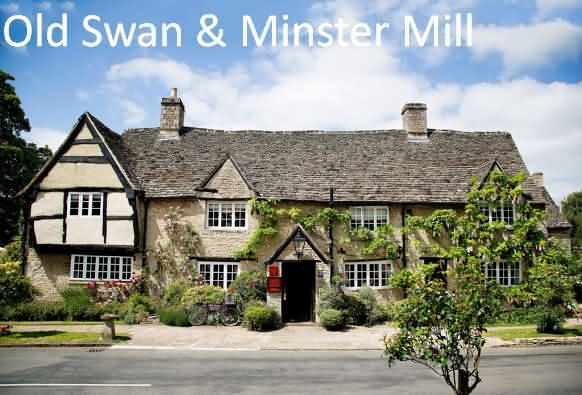 Located in Minster Lovell in the region of Oxfordshire, 12 miles from Oxford, Old Swan & Minster Mill features a terrace. Guests can enjoy the on-site restaurant. Certain accommodations include a sitting area where you can relax. The rooms are equipped with a private bathroom. For your comfort, you will find free toiletries and a hairdryer. A flat-screen TV is available. The area is popular for biking and hiking. The hotel also provides bike rental. Stratford-upon-Avon is 28 miles from Mill and Old Swan, and Cheltenham is 24 miles away. The nearest airport is Birmingham Airport, 46 miles from the property. This property is in one of the best-rated locations in Minster Lovell! Guests love it compared to other properties nearby.